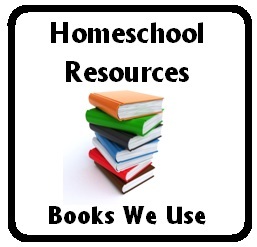 I thought it would be helpful to create a resource page that you can look to see some of the books we have used a lot in our homeschool. This is not a complete lists of homeschool curriculum options. You will find those in separate posts. (I’ll link to those at the bottom of this page!) These are actual books that we have used a lot in our homeschool! The Kingfisher History Encyclopedia – This big thick book has beautiful photos and illustrations. It is an amazing resource to have on hand. It has great information and I find it to be an excellent supplement to our history curriculum. The World Reference & Map Forms – Blank outline maps of countries/states. I use this book ALL the time and couldn’t imagine studying history without this great resource! Our Blog Posts with Book Lists: And we use endless numbers of children’s books and novels to supplement our history studies. You’ll find book lists for each of the regions we’ve studied as separate posts in the blog: India book list, China book list, etc. Biology Textbook – Prentice-Hall Biology This is an actual textbook used in public school (high school probably), but I can’t tell you the number of times I’ve reached for this in our homeschool! We got an older version of the textbook used. I’ve linked to the 2004 edition since you can get that for under $5.00 used. Prealgebra – Art of Problem Solving. We highly recommend this math textbook. Mathematical Circle Diaries, Year 1: Complete Curriculum – I can’t rave about this book enough. My kids love, love, love these math puzzles and challenges!! Kidoku Puzzles – an *amazing* resource for those looking for Sudoku puzzles in small (kid-friends grids). These are free (though you can donate to his site): 4×4 grids, 6×6 grids, 8×8 grids mazes and so much more!! Free Grammar Practice Pages: We made a lot of our own grammar sheets. These are free to download. Our most popular worksheets: 11 Comma Rules and Practice Sheets, Apostrophes, Quotation Marks and Underlining, Their/there/they’re and its/it’s but we have tons of other free sheets as well! Write Source Skills Books: We also use the Write Source Skills books for learning basic grammar rules (the use of commas, apostrophes, capital letters, and so forth). I’ll link to a couple: Write source Skills Book Grade 1 , Write Source Skills Book Grade 2, Write Source Skills Book Grade 4, Write Source Skills Book Grade 5 These are under $10. Bobo Siebenschläfer – We use this children’s book AND the CD in our homeschool. Here are some posts I wrote for those trying to find a homeschool curriculum that works for their family. If you have any suggestions, feel free to drop me a note and I can add your suggestions in! Choosing or Creating a Homeschool History Curriculum – This is a post about the many history homeschool resources available. Finding a Language Arts Curriculum for Writing, Grammar, etc.